The NIU Philharmonic will combine with the Concert Choir and University Chorus to present Johannes Brahms’ “Ein deutsches Requiem Op. 45” at 8 p.m. Wednesday, Oct. 20, in Boutell Memorial Concert Hall. The Philharmonic is under the direction of Lucia Matos, the Concert Choir under the direction of Eric Johnson and the University Chorus is under the direction of Amy Gatschenberger. Brazilian-born conductor Matos is the director of the NIU Philharmonic and music director of the Opera Workshop. She has appeared with numerous orchestras in the United States and abroad. Her first commercially distributed CD, with the Czech Philharmonic Chamber Orchestra, was released in 2007 by Cala Records. Also intensively involved with opera, Matos has conducted several productions at Opera Illinois and was a semi-finalist at the 2007 Bela Bartok International Opera Conducting Competition. 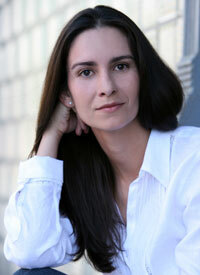 Matos studied conducting with Henrique Gregori at the Universidade Estadual de Campinas and, after graduating, she was assistant conductor for two professional orchestras in Brazil (Sinfonica Municipal de Campinas and Orquestra da UNICAMP). In 1998, she was awarded a fellowship to continue her studies in the United States. She received a Master of Music and Doctor of Musical Arts from the University of Iowa, studying with William LaRue Jones. 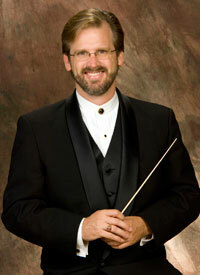 From 2003 to 2008, Matos was the orchestra director at the University of Wisconsin Oshkosh. Johnson is director of Choral Activities at NIU, where he directs the Concert Choir, Chamber Choir and teaches choral literature and conducting. Ensembles under his direction have performed at national and state MENC, NCCO, and ACDA conventions, been featured in live public radio concerts, and appeared with many professional orchestras. In spring 2007, Johnson served as guest conductor of the Clare College Chapel Choir, Cambridge England and worked with Sir John Tavener on a commissioned piece for the NIU Chamber Choir. He has studied conducting with Helmut Rilling, Dennis Keene, Robert Fountain and Weston Noble. Johnson has had articles published in the Choral Journal and has presented interest sessions at national, divisional and state ACDA conventions. He is active nationally as a clinician presenting sessions on developing audiation skills in the choral rehearsal and refining expressive conducting gestures through Laban techniques. As a guest conductor and adjudicator, Johnson has worked extensively with festival high school choirs from Michigan to Montana. He is also the music director of the Bach Chamber Choir and Orchestra in Rockford, Ill., and is past-president of the Illinois-ACDA. He earned degrees from the University of Illinois, the University of Wisconsin-Madison and Luther College.